written 7 Tijax, trecena of E, decan of Ax. Of the 3 years spent compiling the form and layout, the bulk of the correlations took only a few weeks. The rest of the time was spent confirming and testing the order. The study of physical manifestation of particular energy waves has been studied in detail for several thousand years, while the periodic table is relatively new. Because of this, the correlation is not difficult. There are a few major keys that made the correlation not only a simple task, but also provided concrete confirmation of the form and order. This is not to say that the overall form is set in concrete, but the correlations are 100 %. This of course means that the placement of Hydrogen and Helium is correct as currently listed on the presently used table, and the Group 3 elements as shown on The Garden are immovable as they are. Where Scandium correlates with the Tower decan, Lanthanum is directly adjacent. The correlation between Lanthanum and Tijax is quite stark and utterly profound. In the flow of the days, Tijax marks a place where there is a separation and a union simultaneously. It is the day of the Flint, and Lanthanum is a material used in lighter Flints. It is a day where there are sparks and a transfer of energy between two points by way of friction and the production of visible electrical current between two opposing poles. It is the birthday of Tesla and Bruce Lee. It is a derivative of the Kung Fu hexagram and the manifestation of self defense associated with knowledge of opposing energies at close proximity. 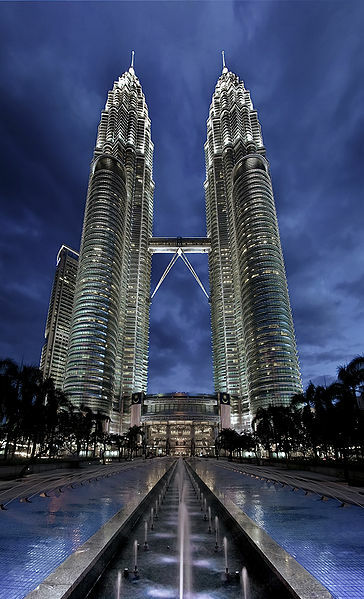 Perhaps the best display aside from the Quiche Maya glyph for Tijax is the Petronas Towers built by Cesar Pelli, who was born on 8 Tijax. As all skilled artists do, Pelli manifested his own energetic patterns. Glyph for Tijax. Tijax is the Earth day in water quadrant. Keeper of the line. 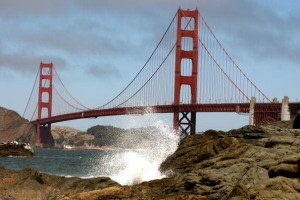 Golden Gate Bridge born 1 Tijax. There is little doubt as to the shape and function of the energy of Tijax and Lanthanum. It cannot be moved. Just to pile on, the National Park Service was born August 25, 1916. That day was 13 Tijax , week of Kame, decan of Virgin. This is the Logo. Tijax and Lanthanum are Flint. It was here the periodic table was broken and now being fixed. 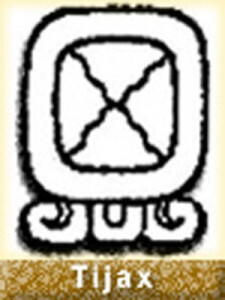 Given that the form provides continuous flow along all 84 primordial elements , this point alone is immovable fixation. Tijax is the keeper of the line between forces. It is both a separation and a union. So strong and visible is the manifestation, that it cannot be denied in any field of study. The spirit of Flint is pervasive throughout all cultures and an integral part of both spiritual and physical life for human beings everywhere in the world. When examining the form and placement of the components , it is good to know that the outer ring of 32 elements correlate to the opposing aspects on the inner ring of 20. For example, Oxygen has a relationship with Caesium and so forth. Where it becomes an important key to understand this, is in the case of Tellurium and Selenium. Because the four “Floater” decans do not necessarily “live” in their place of occurrence, they still have a correlation with the “place of occurrence. But while Aj has a connection to Jackal in its place of origin, neither Jackal nor Selenium can be placed there. It is here where the critics will scream because science loathes chaos, and the primary function of these 4 are to insure that very thing partly, but also to bring correction, to abusive powers. 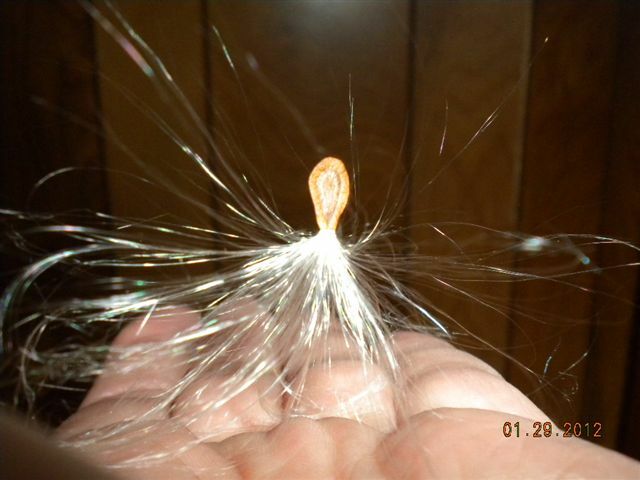 Aj specifically states that it is the energy of the Telluric forces of the Earth. In the I-Ching hexagram # 3, it is as a plant sprouting upward in its struggle to emerge through the final layer of earth chasing the sunlight. The Hindu decan of Jackal shows a man with trees for arms. The funerary in Egyptology, shows the Jackal leading the Swallow into the Scales. The correlations are endless. To examine the relationship between Aj and Jackal, is to be sure that the four “Floaters” are indeed in their correct places. They could be moved here or there, but are not a part of the continuity in the regular flow. This is established in all systems. So, here in this form, as in the fundamental truths of all things, lies the underlying motivation and facilitation of the energy to grow and strengthen life in perpetuity. Soo Carefully organized and understood in such minute detail for thousands of years, the order of the days and decans cannot be refuted. They unfold in front of all of mans senses and are the primary construct of human movements and tendencies, even our appearances and locations. Our destinies and our fates surely are more complicated than a simple thing such as physical matter. The order of atomic weight of particles and their compositions are but a simple thing that falls into perfect alignment with that which has been established by mans first priority in science…… The study of the self, and the means to augment growth of spirit in cooperation with the entire community of the Earth and the cosmos. I would ask the reader to consider this. What do you think has been studied more, the relationship between Carbon and Titanium, or the relationship between the stability of human life and how to protect it, and how not to protect it ? The oldest and most refined science is the study of man. In the current state of things, this accumulated knowledge base has been decimated by those with an agenda to prevent the growth and harmony of the human species, let alone the planet herself. The wisest of the Elders do not reside in halls of caged rats injecting serums and all manner of torture for his own curiosity. It could have all been done so much more easily. But instead, greed and quest for supremacy led humankind back to the egg. We are but a seedling of what we can become, growing in the compost of the long fallen tree we once were, and the telluric forces contained within the womb of our home will not be denied. As we have before, and will again, we will push and be pulled toward the light. The greatest advantage of the knowledge of the physical elements is not to cure what was, but to cure the devastation caused by the separation of the spirit and physicality as a result of blind pursuit of industry and false comfort. It is as a dumb circle. The doctors in the hospitals can see the seeds, but the soil and warmth of germination does not lie in the visible. Absolute understanding of all the physical components of life is perhaps a motivation built into life itself. But the care and proper goal of such a venture is but a nuisance to the overly curious and selfish nature of a child yearning to explore. The cry to “Wake Up”, must change to “Grow Up”.